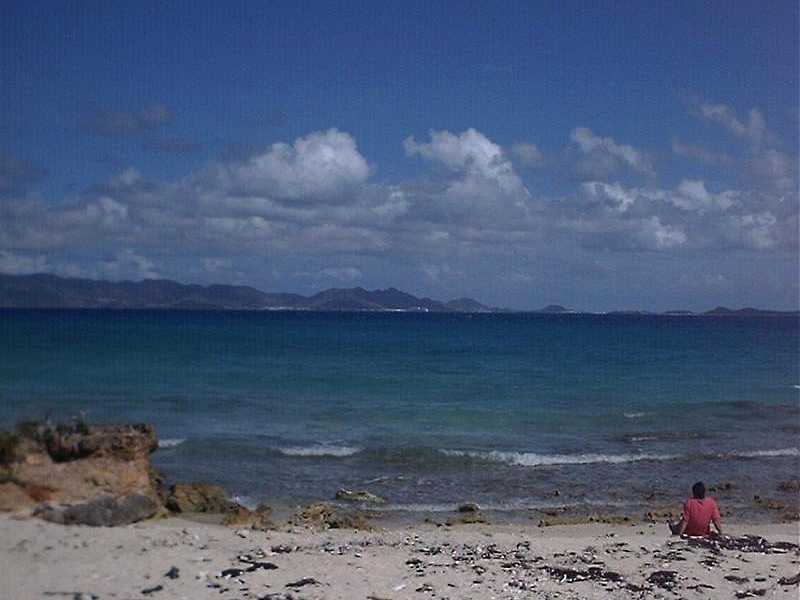 Anguilla has several beaches that are completely undeveloped. On May 8, 2000, Roger Fenn and Dorothy Chaisson (email: rqfenn@gwi.net) of Maine visited one of them and prepared this report for you. 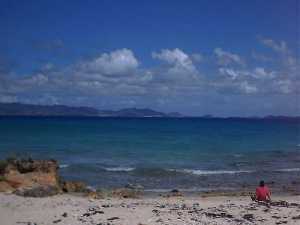 "At the West End of Anguilla is a small, secluded beach on Sherrick's Bay. To go there head straight west on the main road which runs through the island. 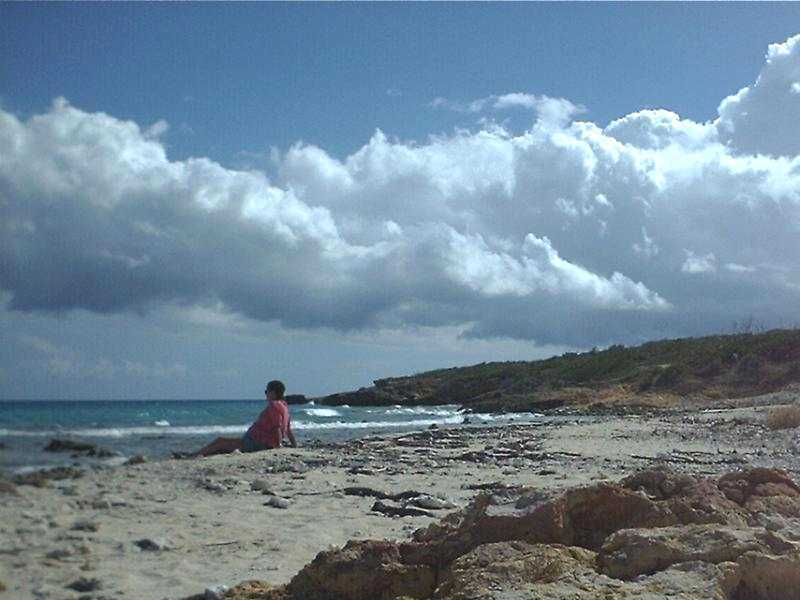 Instead of turning left toward Cove Castles after the West End Salt Pond, continue straight on the narrow local road through West End Village, then stay left until the road ends at a sandy path leading to the beach on Sherrick's Bay." Here are pictures from Sherricks Bay, looking West, then East toward Cove Castles. 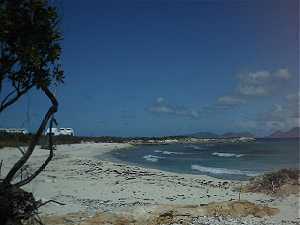 "The west end of the beach looks toward Lower West End Point, which could be reached by some serious bushwhacking. The water's edge is a mix of coral, limestone, and sandy areas. 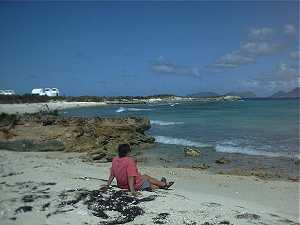 Much of the sand has washed away from the waterfront, which limits swimming until sand washes back in the future." 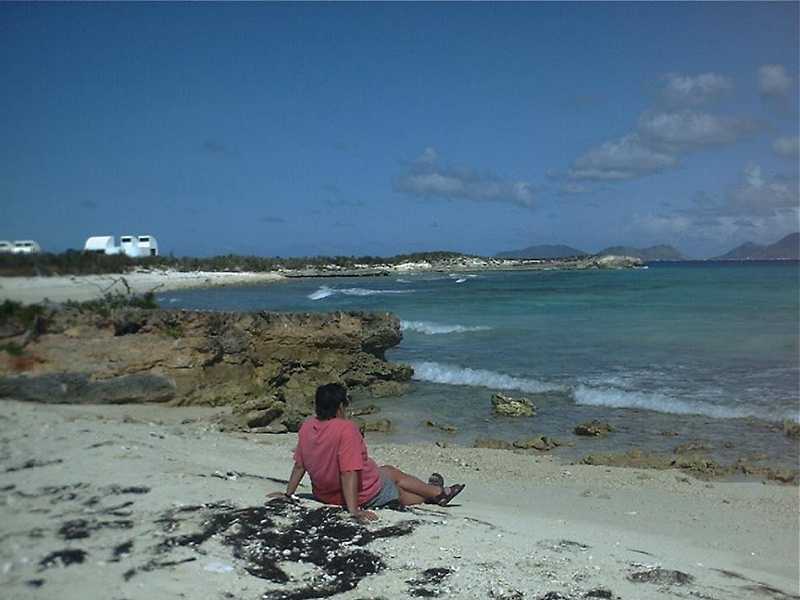 "More sand is along the back edge of the beach, where you can stretch out and enjoy really beautiful views of St. Martin and other islands to the South. There's also a view of the rear of Cove Castles. At the east end of the beach is a rocky divide, a small coral shore, then Sherrick's High Point, which divides Sherrick's Bay from Lower Shoal Bay (West) and Cove Castles Resort."